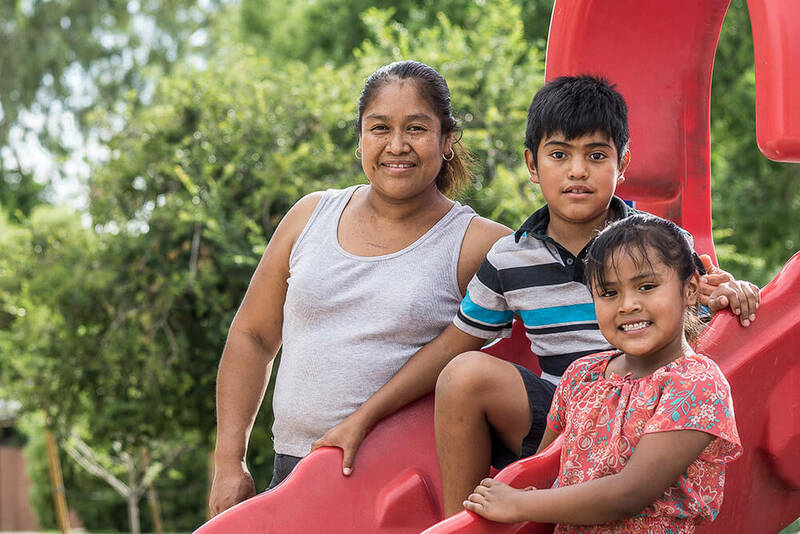 A family of four living on minimum wage in Arizona today is surviving on just $17,000 a year — barely above the poverty level. Local and national partners want to change that this year with a statewide ballot initiative that will gradually raise minimum wages by 2020 and provide earned sick days for working. The coalition behind the Initiative asked Javelina to help them make the ballot and secure victory in November. Working with Javelina was a very valuable experience for Proposition 206 and LUCHA. Javelina not only provided expertise on our challenges that we faced during the 2016 election cycle but also provided mentorship to our young staff for the long road ahead. They are more than a great partner and organization; I consider them friends. Without a doubt, I would work with Javelina again. DEFINE THE GOAL: Arizona had not passed a progressive statewide ballot initiative in 10 years. In 2016, a family of four living on minimum wage survived on just $17,000 a year — barely above the poverty level. 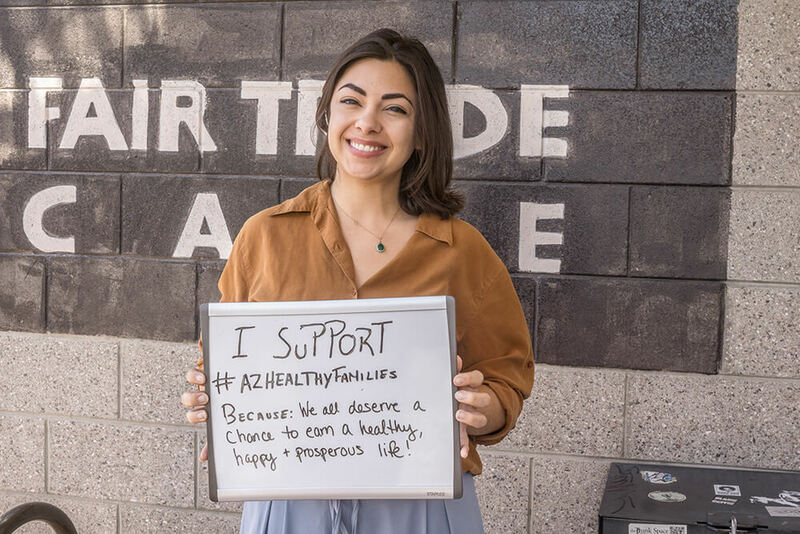 To change this, we were brought in by local and national partners with the goal to gradually raise Arizona’s minimum wages by 2020 and provide workers with earned sick leave. However, we knew this campaign wasn’t a slam dunk. To win, we would have to mobilize base voters who might be otherwise unenthusiastic about politics, while attracting moderate swing voters. If we couldn’t do both, Proposition 206 would likely fail. IDENTIFY THE TARGET AUDIENCE: Our research told us that there was a large group of base Democratic voters who strongly supported the minimum wage portion of the initiative, while suburban women were more attracted to the earned sick leave provisions. We needed to address both audiences with distinct but reinforcing messages. DEVELOP THE STORY: In the hyped-up, crazy election that was 2016’s Presidential race, we knew we needed a positive, non-partisan narrative that put a human face on Prop 206. We gathered dozens of personal stories from Arizona’s low-wage workers who have to choose between paying the bills and putting food on the table. 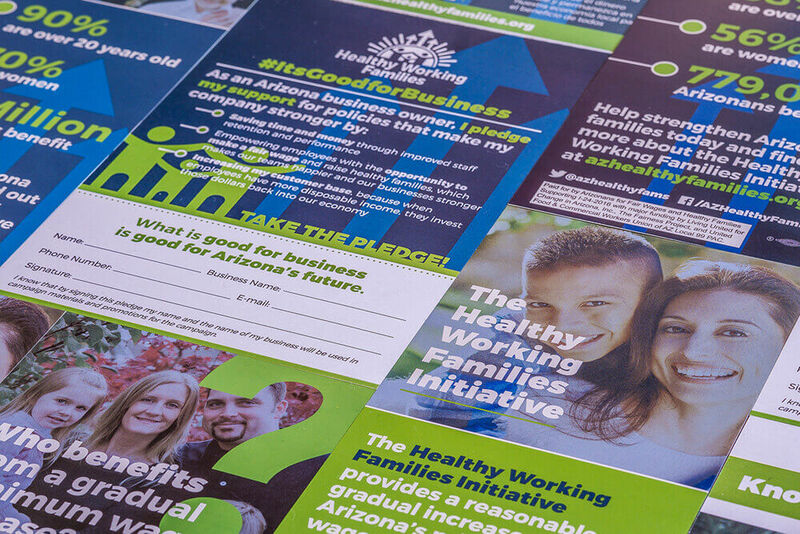 LAUNCH A MEANINGFUL ENGAGEMENT: We shared those stories with Arizona voters across all platforms, including door-to- door contacts, earned media efforts, digital media, direct mail and television. We were always consistent and compelling to ensure our message reached our audiences beyond the din of the Presidential Election-year noise. MEASURE RESULTS: Our campaign was relentlessly data-driven – from tracking petition gathering needed to get on the ballot, to the daily monitoring of early ballot returns in late October. We measured all our goals — from digital media metrics to earned media coverage – with the same aggression and ferocity, all the way to our 18-point victory on Election Night.